Ford just revealed the upcoming 2018 F-150 and among the powertrain upgrades, the F-150 will get a diesel option. The automaker didn’t release any specs on the new oil-burning powerplant, but some clues can be found under the hood of Range Rovers. Until today, I was not aware that Ford supplies both V8 and V6 diesel motors for Land Rover models. Of course, this isn’t all that surprising since Ford and Land Rover were corporately linked at one time and shared several components. However, once Land Rover was sold to Tata motors, they continued to lean on Ford for higher displacement diesel motors. According to Automotive News, the optional 3.0-liter turbodiesel V6 found in a few Land Rover SUVs, including the Range Rover Sport, makes 254 horsepower and 440 lb-ft of torque. In that application, the EPA rates the 3.0-liter diesel at 28 MPG, which is fairly impressive since it’s hauling a vehicle that tips the scales at 4,727 lbs. The 2017 F-150 has a weight range from 4,049 to 5,236 lbs. Currently, the 3.0 diesel found Range Rover models is mated to an eight-speed ZF automatic transmission. Ford is hoping to boost efficiency even further in the F-150 by hooking up the diesel motor to a 10-speed automatic. The automaker suggests the extra gearing would improve fuel economy by six percent. Also increasing the MPG in the diesel F-150 is a new start-stop feature and the availability of a lighter rear-wheel-drive configured truck. It’s probably safe to say that Ford is gunning for Ram’s 3.0-liter EcoDiesel that puts out 240 horsepower and 420 ft-lbs of torque and carries an EPA rating of 29 MPG. With a multifaceted approach, Ford is looking to take the fuel economy crown from Ram. The one potential downside, as reported by Automotive News, is the cost. The article’s author thinks that the complicated emissions system used to keep the diesel motor compliant could add up to $10,000 to the cost of the truck. 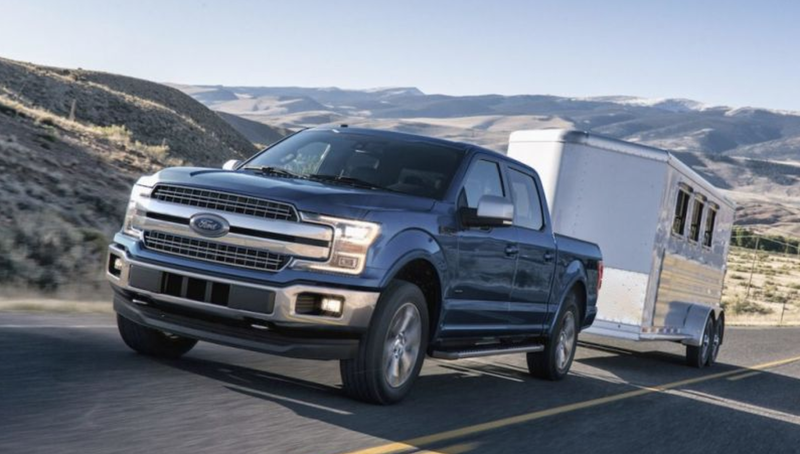 Given the current circumstances surrounding light-duty diesel motors, Ford will probably take whatever steps are necessary to make sure their F-150 diesel meets EPA regulations. If Ford can keep the diesel’s MSRP competitive with the EcoDiesel from Ram, this may just be the one to buy.